Banking the unbanked of the world is one of the Holy Grails for blockchain technology and could help millions of people around the globe reach financial inclusion. However, it may come as a surprise to many that this is not just a third-world problem or that it doesn’t only affect individuals. A whole industry in the United States is currently operating completely unbanked and cryptocurrencies could save the day. Cannabis is legal in nearly two-thirds of American states, but the industry is forced to operate without bank accounts. This is because the US government has not effectively caught up with its own legislature on a federal level, where Cannabis is still classified as a Schedule 1 drug — alongside Heroin and Methamphetamine. Since at a national level Cannabis is still illegal, any bank that handles Cannabis money can be charged with money laundering. So the banks stay away. It’s astonishing that a booming industry — worth 7 billion dollars in California alone — is forced to be cash only. A problem since 2011, it’s hard to conceive of any industry that size not having ready access to even the most basic of financial services. As the industry is expected to only grow, the ramifications of being cash only are far-reaching. ￼While the first thing we may think of are problems to do with physical cash exchange, companies in the Cannabis industry actually have great difficulty in many other aspects. Such as paying their own expenses. For their own transparency, utilities, tax assessors and vendors prefer to not be paid in cash and may even refuse cash paymentscompletely. The IRS also actively pursues businesses who pay in cash, because negative impressions such as avoiding taxes are inherently associated with cash-only businesses. It’s not just a problem of keeping account of customer payments or production costs. Another service banks provide is loans and companies in the Cannabis industry can’t easily raise capital the way other businesses can. Security is another major issue. Marijuana dispensaries are an excellent target for robberies and thieves, possibly even by their own staff, due to the large amount of cash they keep on premises. They need vault, guards, security cameras and enormous amount of staff handling the money. It’s been estimated that cash handling expenses amount to 10–15 percent of their sales. For the company CannaCraft, security costs hundreds of thousand dollars a yearand each month they burn through 12 cash counting machines to count the money. No banking also means no payment processing, which means customers can’t use credit or debit cards to make purchases. According to a 2016 survey, 75% of customers prefer to pay with credit or debit cards, with only 11% preferring to pay with cash. 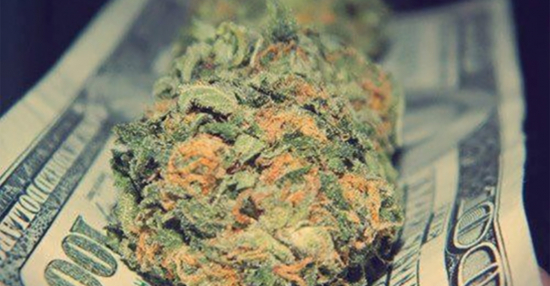 As a result, clients have to go to unnecessary lengths to acquire the product, many of whom use Cannabis as medicine for pain, epilepsy and other ailments. On the other hand, alcohol — proven in studies to be amongst the top worst drugs, in terms of physical, mental as well as social impact — can be purchased with ease as banks welcome their business. The industry needs proactive federal action, such as removing marijuana from Schedule 1 of the Controlled Substances Act, to do away with its legal predicament. But all signs indicate that Cannabis will likely remain a Schedule 1 drug until the next elections in 2020 — Trump has openly ‘vowed a crack down’ on legal marijuana during his presidency. Cryptocurrencies, such as CLOAK, can solve the plight of the Cannabis industry. 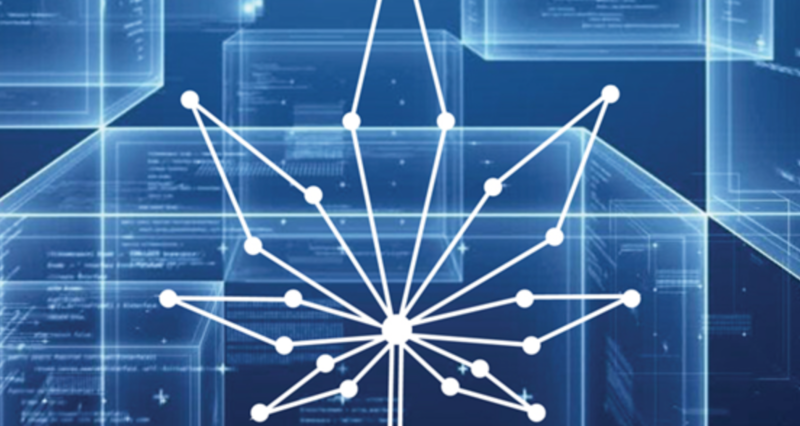 While the industry waits for Cannabis to become federally legal, IBM has pitched for the industry to use blockchain technology that would provide a secure way to track the legal sale of Cannabis “from seed to sale”. Blockchain, as a secure method of recording data using a digital ledger, can transparently capture the history of Cannabis through the entire supply chain, ensuring consumer safety and also exerting regulatory control. Gathering under the same blockchain and community is a worthwhile agenda that would promote general cryptocurrency adoption as well as bring with it tangible benefits for the Cannabis industry. But building this network is also a painstakingly slow process, that does not solve the problem the industry faces in the here and now. Essentially a payment system and accounting issue, CLOAK seeks to be a safe and anonymous payment and ledger for unbanked industries. 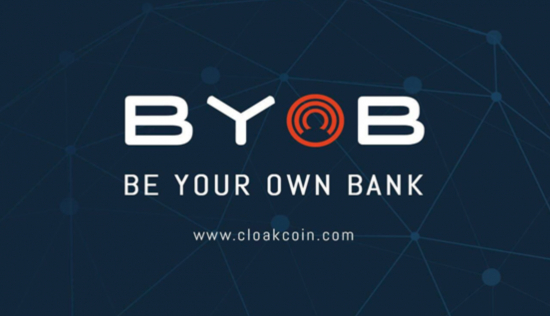 CLOAKcoin is a privacy cryptocurrency for payments. 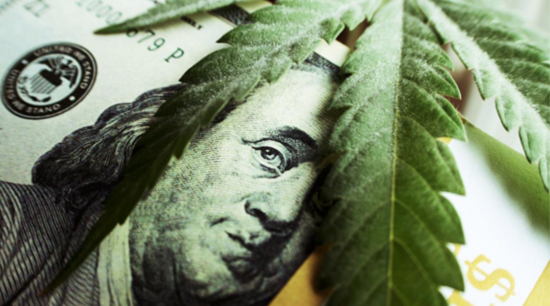 It has recently taken a focus on banking the Cannabis industry and is able to offer an effective solution with a considerable already existing network and user base — that is available right now. It’s a privacy cryptocurrency, but wallet addresses can be properly tied to entities that are required to or want to be open about their cash flow to the right authorities. And the tamper proof payments through CLOAK would assist the Cannabis industry to tackle its key issues of money laundering, accounting and security. Companies would save a lion share of the 10–15% of their revenue that is currently spent on security and staff to upkeep a cash-only business. CLOAK is also able to protect the image of consumers and reduce consumer profiling. Pot use continues to carry a negative label for the user even after legalisation in many states. The US “War on Drugs” since the Nixon era has only recently softened. CLOAK, a privacy-centric cryptocurrency, offers an extra layer of anonymity to transactions through its Enigma service, making sure the sender’s identity is protected. Banking the unbanked is usually considered a third world problem and has been used to de-legitimise the need and usefulness of cryptocurrency in the developed world. I’m glad to bring attention to the fact that, in some (quite profound) cases, this issue is clearly just as relevant to the developed world. By the way, Forbes reports that a sizeable portion of American citizens too are unbanked or under-banked. The road to mainstream adoption of digital currency has begun. Perhaps no one else needs cryptocurrency as much as companies in other legal but controversial industries disadvantaged by bureaucracy and conservative policy-making. Meaning that banking the unbanked is clearly by far one of the coolest applications for blockchain technology. Full disclosure: Nele Maria Palipea is an advisor for CLOAK, a privacy focused cryptocurrency from 2014. This is not investment advice nor is it an official representation of the project. It’s an opinion piece. So please consult official sources and contact the project for fact verification.